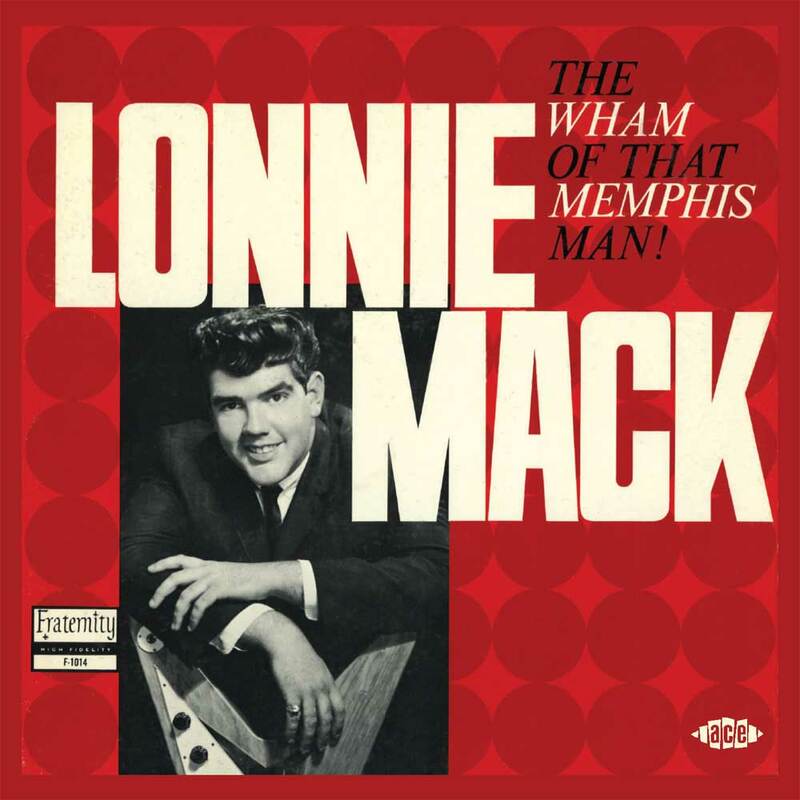 LONNIE MACK-THE WHAM OF THAT MEMPHIS MAN! By 1963, twenty-two year old Lonnie Mack was already an experienced musician. He had been making a living as a musician since he was thirteen. That was when Lonnie Mack quit school, after getting involved in an argument with a teacher. For most thirteen year olds, this would’ve spelt disaster. This wasn’t the case for Lonnie Mack. He knew exactly what he wanted to do with his life…make a career out of music. That’s what Lonnie Mack went on to do. He recorded thirteen albums during a career a career that spanned six decades. Lonnie’s debut album was The Wham Of That Memphis Man, which was recently released by Ace Records. By then, Lonnie Mack was being hailed a musical pioneer who had changed music. However, when Lonnie embarked upon a musical career aged thirteen this must have seemed a pipe dream to Lonnie’s parents, Robert and Sarah Sizemore McIntosh. They were living in West Harrison, Indiana when the future Lonnie Mack was born on July 18th 1941. He grew up in a series of farms along the Ohio River. However, by the time Lonnie Mack was seven, he had already developed an interest in music. The young Lonnie Mack swapped his bicycle for an acoustic guitar. It would soon prove to a wise move. It was Lonnie Mack’s mother that showed him a few rudimentary chords on his new guitar. After this Lonnie practised long and hard, in an attempt to master the guitar. Then when his finders were sore with practising, he would listen to The Grand Ole Opry on a battered old radio. It was powered by a truck battery, as there was no electricity in the McIntosh house. Listening to the stars of The Grand Ole Opry made Lonnie all the more determined to master his guitar. Before long, Lonnie Mack had mastered the acoustic guitar, and would sit outside the family home and playing country music. Passers-by would throw spare change to Lonni3. Soon, he was braving the nearby hobo jungle, where he would play for spare change. Little did Lonnie know, that he was serving what was akin to the first part of his musical apprenticeship. Lonnie Mack’s musical apprenticeship ended somewhat suddenly, when he was thirteen. He got involved in an argument with one of his teachers. When Lonnie came off second best, he vowed never to return. He was as good as his word, and that proved to be the end of his formal education. Now the next chapter in Lonnie’s life began; when he decided to embark upon a career as a musician. There was a problem though. Lonnie Mack was only thirteen, and too young to play in Cincinnati’s bars and roadhouses around. Luckily, Lonnie looked older, so with the help of a fake id, he was able to play in Cincinnati’s bars and roadhouses. They were a tough and uncompromising audience, but this never phased Lonnie . Nothing seemed to. Not even the thought of forming his own band or making an appearance on television. This came after Lonnie Mack heard Elvis Presley and Carl Perkins. This inspired him to form his own rockabilly trio. They were invited to appear on a local television show, and covered Blue Suede Shoes. For fifteen year old, Lonnie Mack this was his first, but wouldn’t be his last television appearance. Not long after this, Lonnie played on his first recording. This came when Lonnie Mack played on a session by Al Dexter. He was recording Pistol Packin’ Mama. Later, Lonnie played on two single by his cousins Aubrey Holt and Harley Gabbard. Already, it seemed, Lonnie was comfortable within the environs of a recording studio. However, before long, he would make a change to his sound. Up until then, Lonnie Mack’s musical weapon of choice had been a Gibson Kalamazoo. However, in 1958 Lonnie decided to buy a Gibson Flying V. This came at a cost. The Gibson Flying V was an expensive and desirable guitar. Lonnie knew this, and was willing to pay $300 to order the new guitar. Maybe he secretly knew it would be a musical investment? Especially when he added the final piece of the jigsaw? Then his trademark sound would be complete. Over the next few years, Lonnie gigged regularly throughout Ohio. It was in the early sixties at the Twilight Inn, that club owner Frog Childs christened Lonnie’s band. Thereafter, they became known as Lonnie Mack and The Twiliters. However, when Lonnie heard Robert Ward play in 1960 he realised what was missing from his sound..,a tube driven amplifier. This was what gave Robert Ward’s guitar the rich vibrato sound. When Lonnie Mack asked about the amplifier, Robert Ward explained it was a tube driven Magnatone 460 amplifier. However, it had been modified, and included an inbuilt electronic vibrato. Instantly, Lonnie knew that this amplifier could transform his guitar sound. He went out and bought one of the amplifiers, and Lonnie’s trademark sound was complete. 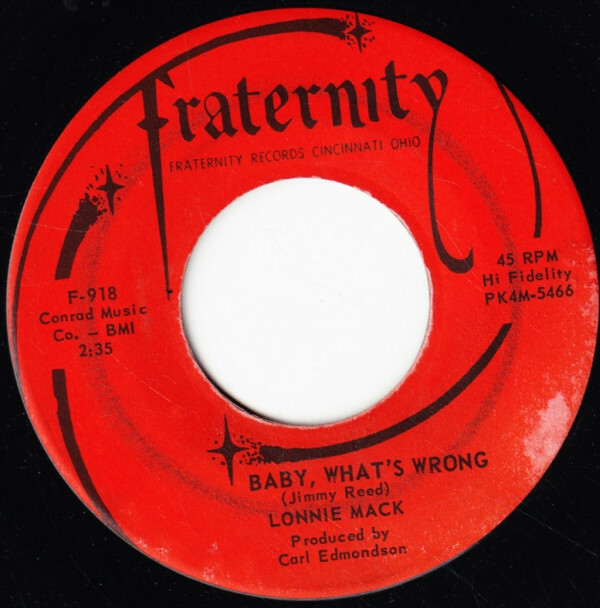 After working at Fraternity Records for a few years, Lonnie Mack’s solo career began on 12th March 1963. The sessions took place at King Records’ studio, where Lonnie and his band were backing The Charmaines, who were signed to Fraternity Records. At the end of the sessions, there was just enough time for Lonnie and his band to lay down an instrumental version of Chuck Berry’s Memphis. The with literally minutes to spare. Lonnie and his band recorded his own composition Down In The Dumps. When producer Carl Edmondson heard the recordings, he thought they had potential. So Carl Edmondson went to see Harry Carlson, who owned Fraternity Records. Harry Carlson agreed, and decided to release Memphis as a single. By the time Memphis was released, Lonnie Mack was out on tour, working with the Troy Seals band. Troy had been a member of Lonnie band in the late fifties; and the two men had been friends ever since. So when news came through that Memphis reached number five in the US R&B charts, it was a cause for celebration. 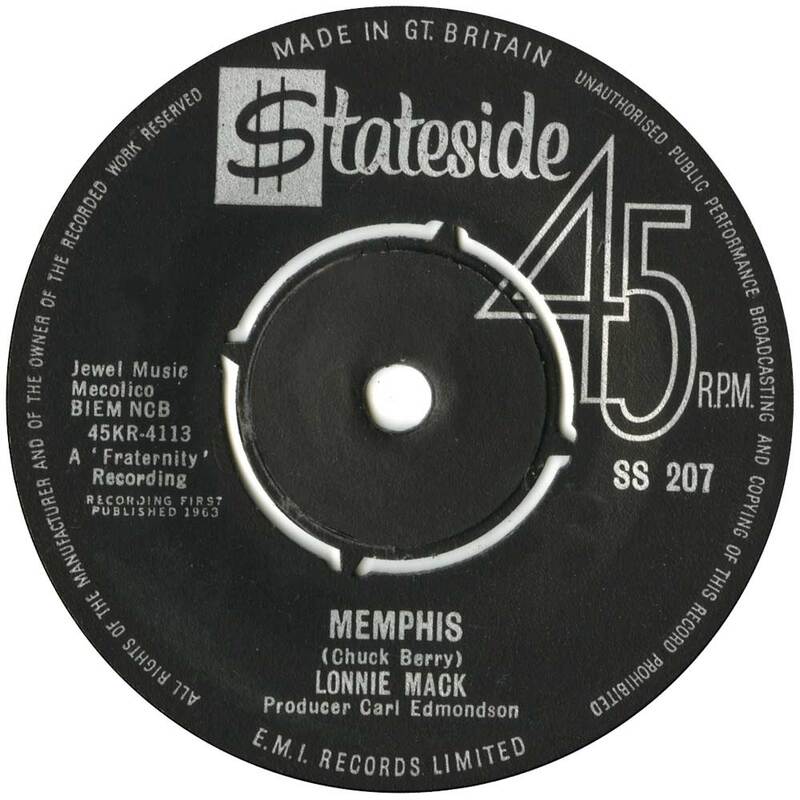 The release of instrumental version of Memphis saw Lonnie Mack hailed a musical pioneer. The electric guitar took centre-stage on Memphis, as Lonnie unleashed breathtaking and blistering solos. Lonnie played with speed, accuracy and some said, aggression. Other guitarists could only look on enviously. It was obvious to them that the arrival of Lonnie was a game changer. Critics agreed, hailing Lonnie a musical pioneer. Already, Lonnie’s thoughts had turned to the followup to Memphis. For his sophomore single, Lonnie Mack chose one of his own compositions, Wham. On the B-Side, he added a cover of Dale Hawkins, Stanley Lewis and Eleanor Broadwater’s Suzy-Q. Everyone thought that Wham would repeat the success of Memphis. However, the single stalled at twenty-four on the US R&B charts. Wham dissevered to fare much better. Lonnie’s sophomore single had been short-changed. It featured another breathtaking performance from Lonnie, as he unleashed a series of blistering solos on Wham. Again, he played with speed, accuracy, determination even a little aggression. Lonnie’s rivals were awestruck, as he drew inspiration from the blues and R&B to create his own unique blues-rock sound. It would go on to influence everyone from Eric Clapton and Jeff Beck; to Duane Allman and Stevie Ray Vaughan; and even Ted Nugent and Bootsy Collins. However, in 1963, Lonnie was thinking no further than his next single. The song chosen, was Jimmy Reed’s Baby, What’s Wrong. On the flip-side, was Lou William’s Where There’s A Will (There’s A Way). On its release later in 1963, the Carl Edmondson entered the US Billboard 100. Usually, this would’ve been a cause for celebration. Not this time. Baby, What’s Wrong reached a lowly ninety-three on the US Billboard 100. For Lonnie Mack, this was a bitter blow. It had been downhill since the release of his debut single. 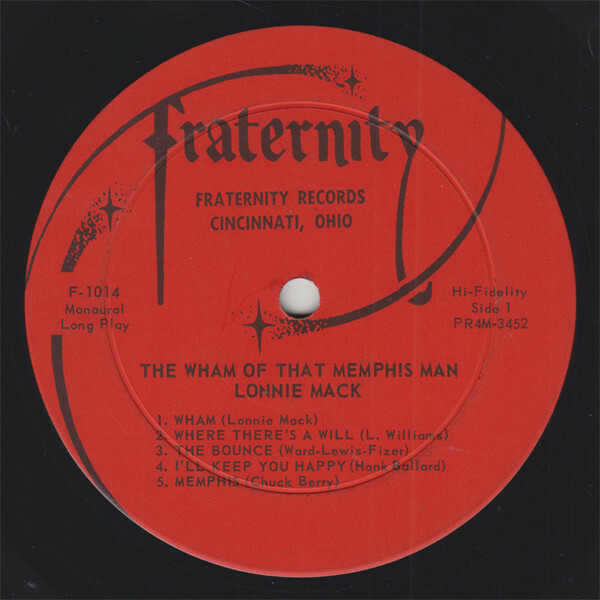 Despite this, Fraternity Records’ owner Harry Carlson agreed to release Lonnie’s debut album The Wham Of That Memphis Man in October 1963. In many ways, Harry Carlson had little to lose. 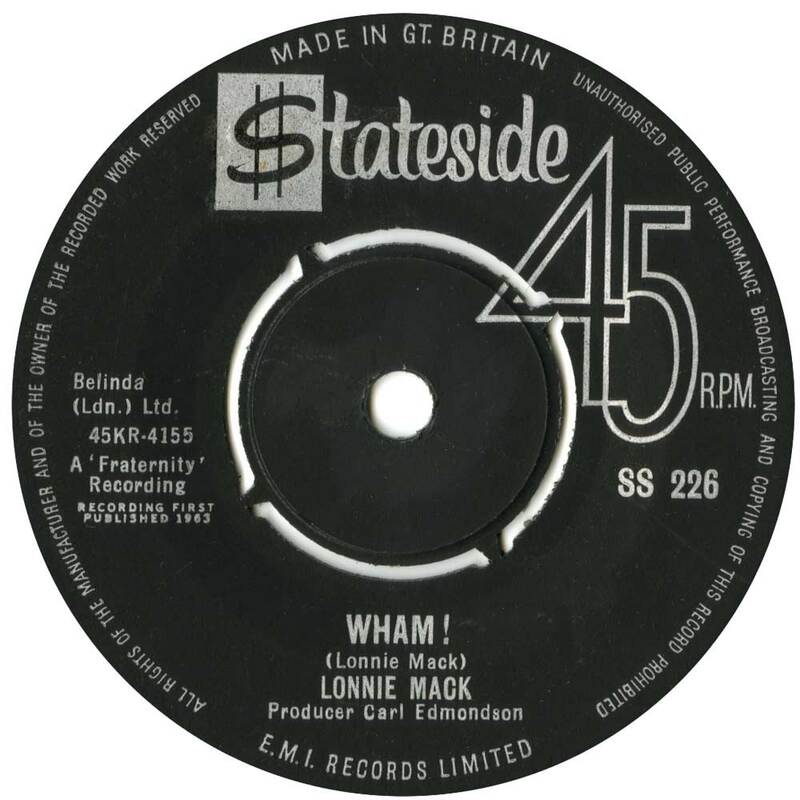 The Wham Of That Memphis Man featured Lonnie Mack’s first three singles and their B-Sides. To this, two new songs from Lonnie and three cover versions were added. Lonnie penned the ironically titled Down and Out and Why. The cover versions included Hank Ballard’s I’ll Keep You Happy; Martha Carson’s Satisfied and Charlie Fizer, Eddie Lewis and Walter Ward’s The Bounce. These songs were recorded at King Records’ studio and produced by Edmondson. Once the tracks were recorded, Fraternity Records began work on the release of Lonnie Mack’s debut album. The Wham Of That Memphis Man was released in October 1963, and was hailed a groundbreaking album. Critics and record buyers had never heard an album like The Wham Of That Memphis Man. Partly, that was down to Lonnie Mack’s band. Accompanying Lonnie Mack on The Wham Of That Memphis Man were a rhythm section of drummer Ron Grayson and bassist Wayne Bullock. Pianist Fred Stemmerding was joined by a horn section of Irv Russotto, Marv Lieberman and tenor saxophonist Donald Henry, who also added maracas. He and the rest of the band provide eleven backdrops that veer between bluesy and soulful. Meanwhile Lonnie Mack steps up and unleashes a series of breathtaking, virtuoso performances. Wham! opens The Wham Of That Memphis Man. It’s two minutes of foot to the floor music. Growling horns add an element of drama, as the rhythm section power the arrangement along. When the horns drop out, up steps Lonnie Mack. He unleashes a blistering solo. It climbs high above the arrangement, as the fleet fingered virtuoso never misses a note. Later, when the horns return, Lonnie and the band are heading towards a crescendo, and do so in style. However, it’s Lonnie the musical pioneer, that steals the show. Where There’s A Will (There’s A Way) shows another side to Lonnie Mack. It’s a heartfelt, soulful ballad, where gospel tinged harmonies accompany Lonnie. He delivers a soul-baring vocal, as the rhythm section, origin and harmonies provide a slow backdrop. This proves the perfect accompaniment to his vocal which later, becomes needy, impassioned and emotive. It’s a track that shows there’s more to Lonnie Mack than a fleet fingered guitar slinger. Braying horns join the jaunty rhythm section in driving the arrangement to The Bounce along. They’re joined by Lonnie, and his shimmering, vibrato guitar. Its crystalline sound is accompanied by punchy, soulful harmonies. Meanwhile, Lonnie fingers fly up and down the fretboard. Later, a backing vocalist sings: “just one more time.” She sings calla and response, as Lonnie and the bands head for the finishing line and another impressive crescendo. I’ll Keep You Happy marks another change in style. Lonnie delivers another heartfelt, needy vocal. He’s joined by backing vocalists, while the rhythm section and wistful piano create a slow meandering backdrop for this ballad. His vocal veers between needy to hopeful, as Lonnie breathes emotion into the lyrics. It’s further proof that Lonnie was a talented vocalist, as well as a virtuoso guitarist. 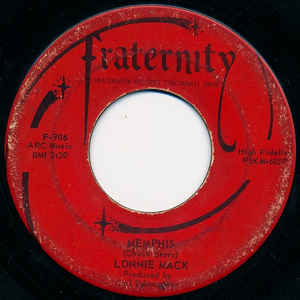 Memphis was the single that launched Lonnie Mack’s career. Choppy, bristling and chiming guitar licks join the rhythm section, and add a degree of urgency. The guitar is crucial to the sound and success of this instrumental. Especially, as this instrumental unfolds. By then, Lonnie has taken centre-stage and is playing a starring role. His searing, blistering guitar is played briskly, chirping and chiming. A hint of vibrato is used sparingly, before the choppy licks bookend this instrumental version of Chuck Berry’s Memphis. It’s one of the highlights of The Wham Of That Memphis Man. Baby, What’s Wrong was written by a giant of the blues Jimmy Reed. It’s given a makeover by Lonnie Mack. Choppy, chirping guitar licks join the rhythm section in setting the scene for Lonnie’s vocal. It’s full of hurt and sadness, as he asks “Baby, What’s Wrong with you.” Backing vocalists accompany and then augment his scorching guitar solo. They add soaring harmonies, before Lonnie rejoins them. He adds a vocal, while adding a bristling guitar solo. It rings out, as the punchy and later, soulful harmonies join Lonnie’s hurt-filled vocal. By then, it’s obvious that this another of Lonnie’s finest moments. Despite this, commercial success eluded this song when it was released as a single. Fifty-three later, and this reworking of Baby, What’s Wrong has an almost timeless sound. Down And Out is a slow, bluesy shuffle. The horns add to the bluesy sound while stabs of piano help the rhythm section drive the arrangement along. Meanwhile, Lonnie unleashes a vibrato soaked guitar solo. It shimmers, glistens and quivers. Other times Lonnie plays with urgency and aggression, before later, deploying speed and accuracy. This shows how versatile a guitarist he is. However, playing an important part in the sound of the bluesy instrumental, are Lonnie’s band. They frame another spellbinding performance from the virtuoso guitarist, as he pioneers the blues rock sound. Horns bray, and washes of organ join the rhythm section on Satisfied. It has a surprise in store. This comes when Lonnie sings: “on well you ask me if I’m happy, I have a peace within, if I worry…as I reach my journey’s end.” This gospel track is reworked by Lonnie, and shows yet another side to him and his music. Blazing horns, gospel tinged, soaring harmonies testify as Lonnie unleashes an impassioned, powerful vocal. It’s soulful and delivered with sincerity as also Lonnie adds a guitar part. This time, it’s Lonnie’s vocal that steals the show. Aided and abetted by the backing vocalists, Martha Carson’s song takes on new life and meaning; and back in 1963, was heard by a new audience. Dale Hawkins is regarded as being responsible for the definitive version of Susie Q. Despite this, Lonnie’s version is one of the best cover versions. Subtle rasping horns punctuate the arrangement while the rhythm section provide the heartbeat. Meanwhile, Lonnie’s crystalline, chiming and bristling guitar soars above the arrangement. It quivers, as vibrato is added and steals the show. Especially, as Lonnie’s fingers fly up and down the fretboard at breakneck speed. All this effort is well worthwhile, and results in one of the best cover versions of Susie Q. Slow, bluesy and moody describes Why. Lonnie’s crystalline guitar quivers, ringing out as blues horns join the rhythm section. They set the scene for Lonnie’s heartbroken vocal. He delivers the lyrics as if he’s lived them. His vocal is a mixture of power, emotion and hurt. Meanwhile, cooing harmonies soothe and sympathise. Lonnie continues to lay bare his soul on this tale of hurt and heartbreak. It’s without doubt one of the best songs Lonnie wrote for The Wham Of That Memphis Man, and is one of most moving songs on the album. Down In The Dumps closes The Wham Of That Memphis Man. It’s another instrumental, penned by Lonnie Mack. His quivering guitar is joined by braying horns as the rhythm section and piano drive the arrangement along. Soon, the scorching guitars soar high above the arrangement. When they drop out, Lonnie’s guitar takes centre-stage. From there, the horns and guitar play leading roles, on what’s a perfect showcase for Lonnie Mack and his talented band. Despite the undeniable quality of The Wham Of That Memphis Man, the album reached just 103 in the US Billboard 200 when it was released in October 1963. Those that bought a copy of The Wham Of That Memphis Man heard a musical pioneer, who changed the future direction of music. Suddenly, the electric guitar could play a starring role in track. It was no longer just playing a supporting role. Nobody tried this before Lonnie Mack released Memphis and Wham as singles. They were game-changers, which would influence several generations of musicians. Everyone from Eric Clapton and Jeff Beck to Duane Allman, Stevie Ray Vaughan and Ted Nugent were inspired by Lonnie Mack. They owe him a debt of gratitude. Without Lonnie Mack, the musical landscape would be very different. Many musical historian credit Lonnie for laying the foundations for Southern Rock. Lonnie Mack was also a pioneer of blues rock, but was equally comfortable playing rock ’n’ roll, rockabilly and singing soul. Indeed, Lonnie Mack is regarded as one of the greatest blue eyed soul singers in musical history. He shows his considerable skills as a vocalist and guitarist on The Wham Of That Memphis Man, which was recently reissued by Ace Records. It’s an album that’s stood the test of time. That’s not all. The Wham Of That Memphis Man is a reminder of a multitalented and versatile musician, as he embarked upon a recording career that lasted until 1990. During that period, Lonnie Mack released thirteen solo albums. Sadly, in 1990, Lonnie Mack called time on his recording career. That wasn’t the end of Lonnie Mack’s career. He continued to play live up until the early years of the new millennia. Sadly, on April 21st 2016, Lonnie Mack passed away in Smithville, Tennessee. Lonnie Mack was only seventy-five. That day, music lost a true pioneer, whose had a huge influence in modern music. Even today, Lonnie Mack continues to influence a generation of guitarists. So it’s fitting that Lonnie Mack’s debut album The Wham Of That Memphis Man has been released, and is a fitting reminder of a truly versatile and talented musician whose sadly missed, but will always be remembered. A night that I will never forget was with Lonnie Mack.He had me come up on stage at war memorial in Ft Lauderdale.I got to fumble with the guitar and play .He had that piece on it that made it all sound different.Fifty some years have passed but never lost the memory.I still have a letter from one of the guys in the band that called himself Bill.